Fig. 1. 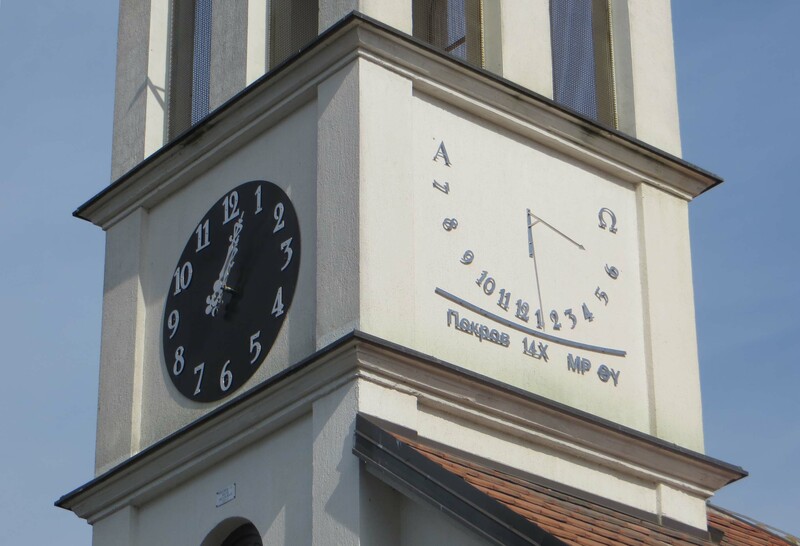 The sundial was lifted to the church’s belfry (9 meters high) by a loading crane. The crane was provided by the Obrenovac Electro-Distribution company. Fig. 2. Almost finished… All the sundial’s elements were made of prochrom (the gift from the Stubline’s Alatnica Barovic Company).